Stay in one of 76 guestrooms featuring LCD televisions. Your room comes with a Select Comfort bed. Complimentary wireless Internet access keeps you connected, and digital programming is available for your entertainment. Private bathrooms with separate bathtubs and showers feature complimentary toiletries and hair dryers. 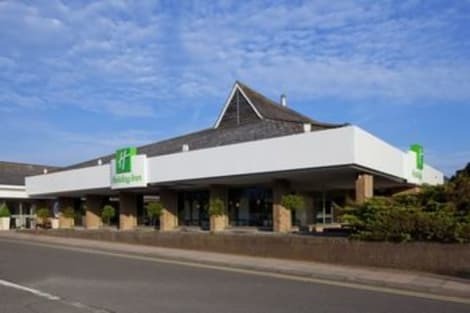 A comfortable Ipswich hotel with a restaurant and conference facilitiesJust off the A14, Holiday Inn® Ipswich - Orwell hotel is right next to the Ransomes Europark business park.We’re only a 15-minute drive from Ipswich town centre, and buses run from outside the hotel. Ipswich station offers direct trains to London. Our 6 versatile meeting rooms can cater for up to 160 guests and our dedicated conference host can help take care of all the details. We’re also a licensed wedding venue, with packages for all budgets. Head to nearby Christchurch Mansion to admire works by local artists Constable and Gainsborough in its Wolsey Art Gallery, or visit Ipswich Waterfront for bistro dining and boat trips on the River Orwell. 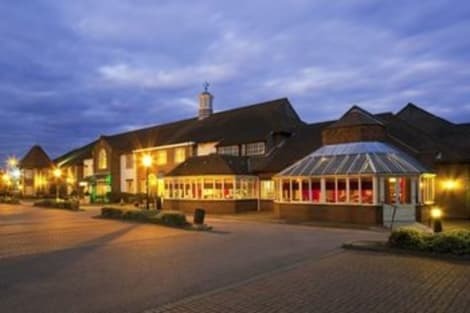 The seaside town of Aldeburgh and the Sutton Hoo Anglo-Saxon burial site are both within half an hour by car.At this hotel you can enjoy:- Free WiFi- Free on-site parking- Kids stay and eat freeOur comfortably furnished rooms all come with pillow menus and Smart TVs. Start your day with a full English breakfast buffet, and dine on international dishes in the Priory Restaurant. Keep fit in the mini-gym, or head to nearby David Lloyd Ipswich to swim laps, play tennis or unwind in the spa. After a busy day, relax with a pint in the lounge or our leafy garden. 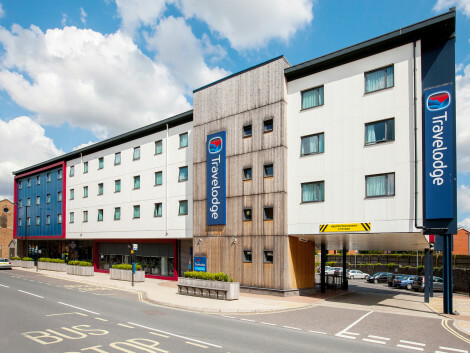 A comfortable Ipswich hotel with a Health Club, event space, restaurant and free parkingHoliday Inn® Ipswich hotel is only 10 minutes by car from the town centre.We’re conveniently located at the junction of the A12 and A14, a quick drive from Ipswich station, offering direct trains to Cambridge, Norwich and London. If you’re exploring the local area you can take a scenic river cruise at nearby Ipswich waterfront, catch a stock-car race at Foxhall Stadium or visit Wolsey's Gate, a Tudor brick gateway that's reportedly haunted. For some fresh air, try a stroll through the walled garden and maze at lush Holywells Park. Our four well-equipped meeting rooms are suitable for events or parties, with space for up to 230 guests, and there’s a handy business centre in the lobby.At this hotel you can enjoy:- Free Wi-Fi- Rooms with sofa beds for families- 24-hour room serviceWork out, relax in the sauna or have a soothing soak in the Jacuzzi at our Health Club. Kids can burn off energy in the outdoor play area. 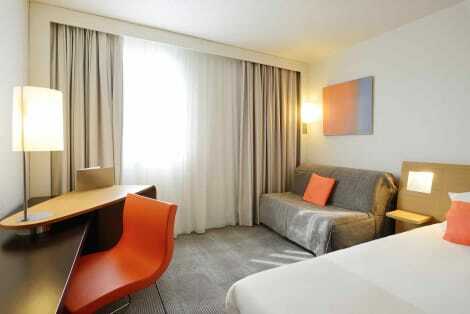 Our comfortable bedrooms have satellite TV, a desk where you can work and a choice of pillows to help you sleep. You can enjoy a hearty breakfast or dinner at the Junction Restaurant and meet friends at Millers Bar for a drink in the evening. And kids stay and eat free. 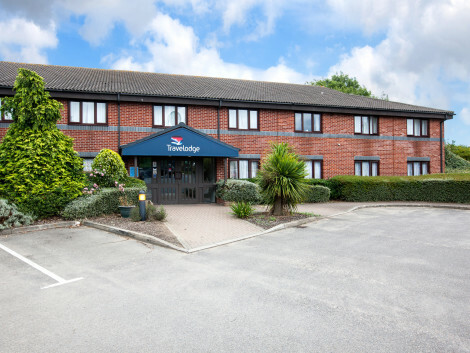 With a stay at Bridge Guest House in Ipswich, you'll be within a 10-minute drive of Chantry Park and Ipswich Waterfront. This guesthouse is 0.8 mi (1.4 km) from Cardinal Park and 0.9 mi (1.4 km) from Portman Road. Make yourself at home in one of the 14 guestrooms. Complimentary wireless Internet access keeps you connected, and digital programming is available for your entertainment. Conveniences include desks and coffee/tea makers, and you can also request cribs/infant beds (surcharge). Make yourself at home in our luxurious 4-star Novotel Ipswich Centre hotel, just a few steps from the vibrant waterfront and city centre. The stylish, modern rooms will give you and your family plenty of space to unwind, relax and take in the scenery - and you'll enjoy delicious food fresh from the in-house Elements Restaurant. Complete with a multi-purpose gym, an indoor play area and pet-friendly facilities, you'll never need an excuse to leave! Major guest enhancement programme underway till mid 2019. You can enjoy a meal at the restaurant serving the guests of Muthu Belstead Brook Hotel, or stop in at the grocery/convenience store. Need to unwind? Take a break with a tasty beverage at one of the 2 bars/lounges. Buffet breakfasts are served on weekdays from 7:00 AM to 9:00 AM and on weekends from 8:00 AM to 10:00 AM for a fee. At The Old Times Guest House, enjoy a satisfying meal at the restaurant. Quench your thirst with your favorite drink at the bar/lounge. Cooked-to-order breakfasts are served on weekends from 8 AM to 9 AM for a fee. Satisfy your appetite for lunch or dinner at pentaLounge, a restaurant which specializes in Modern European cuisine, or stay in and take advantage of the 24-hour room service. Quench your thirst with your favorite drink at the bar/lounge. Buffet breakfasts are available daily from 6:30 AM to 10 AM for a fee. 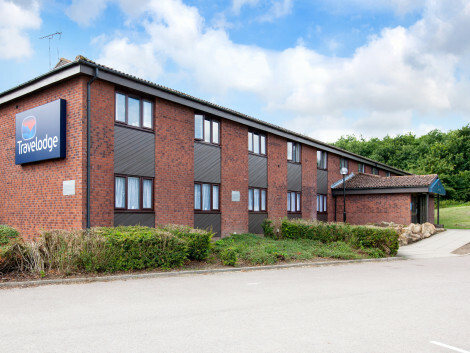 Set in a town with a rich history dating back to the Anglo Saxon period, Ipswitch Hotels offer access to ancient buildings, a beautiful waterfront, a range of galleries and museums, and a vibrant nightlife. While the area around Ipswich was an important one during the Roman period, it wasn't until the Anglo Saxon period of the 7th and 8th century that the town took shape around what today is known as Ipswich Dock. During this time the area was an important port for North Sea trade and communication between East Anglia and the continent. The famous ship-burial at nearby Sutton Hoo is most likely the grave of King Rædwald. Ipwich was eventually granted its own town charter in 1200 by King John. In the centuries following this, the town became famed for its merchants. Cardinal Thomas Wolsey was born in Ipswich and remains one of the town's most well known historical figures. The famous painter, Thomas Gainsborough, lived and worked in Ipswich during the 18th century. In the 19th century Charles Dickens stayed in Ipswich and also used it for the setting of The Pickwick Papers. Lord Nelson also lived in Ipswich, after moving there with Lady Nelson in 1797. Contemporary Ipswich is a shopper's paradise. The Buttermarket Centre and Tower Ramparts Centre both offer a range of outlets, while St Peters and St Nicholas Street has an impressive selection of boutique shops, cafés and watering holes. Queen Street and Westgate Street are the place to go for big brands such as Debenhams, Next, H&M and TopShop. When the sun sets, Ipswich's Waterfront comes to life. The lights of the boats on the harbour water serve as a beautiful backdrop for strolls along the waterfront, before ducking in to one of the area's many bars and restaurants. There are also a number of river cruises available on the resident boats such as Sailing Barge Victor and the Orwell Lady. Arguably the most famous archaeological site in Britain, Sutton Hoo is the site of two 6th and 7th-century burial grounds. The wealth of Anglo Saxon artefacts, mainly held by the British Museum, are generally thought to be linked to the burial of King Rædwald, the ruler of the East Angles. The find was noSEOSITE_LEVEL_DESCRIPTION due to the sheer volume of preserved material that had been left relatively undisturbed. A visitor's centre on the site provides a detailed account of the history surrounding the discovery. Ipswich is home to a number of excellent museums detailing the heritage of the town. These include the wartime history of Clifford Road Air Raid Shelter Museum, The Ipswich Transport Museum, Norfolk And Suffolk Aviation Museum and the town's main museum, Ipswich Museum, which features a towering stuffed giraffe. In terms of galleries there is the Waterfront Gallery, the Town Hall Galleries and Ipswich Art School.